Entertaining is extravagant with this Artland Peacock wine set. 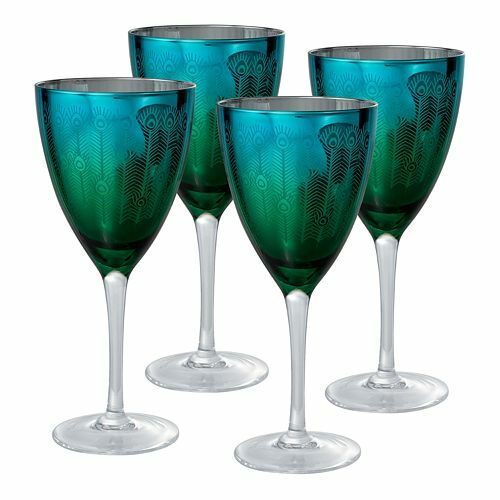 Each glass features a metallic silver interior that perfectly contrasts the rich turquoise and blue peacock feather design on the exterior. Turn any gathering into an occasion to remember with these exotic Artland wine glasses. Mouth-blown glass construction creates a true artisan look and feel.